Congratulations on making the important decision to sign up as an organ, eye and tissue donor! Your decision can have a huge impact on the lives of others. Before going forward, do you already have two hearts on your driver license? Please fill out the form below to register as an organ, eye and tissue donor. Fields marked with an * are required fields. When you register as an organ, eye and tissue donor, your registration remains in effect until you revoke it. If you do not have an email address, please call 303-329-4747 during normal business hours to receive a hard copy form. Please be sure to complete all the steps in the process before leaving the site. After you register, you will receive an email confirming your registration as well as an email you may forward to family and friends. 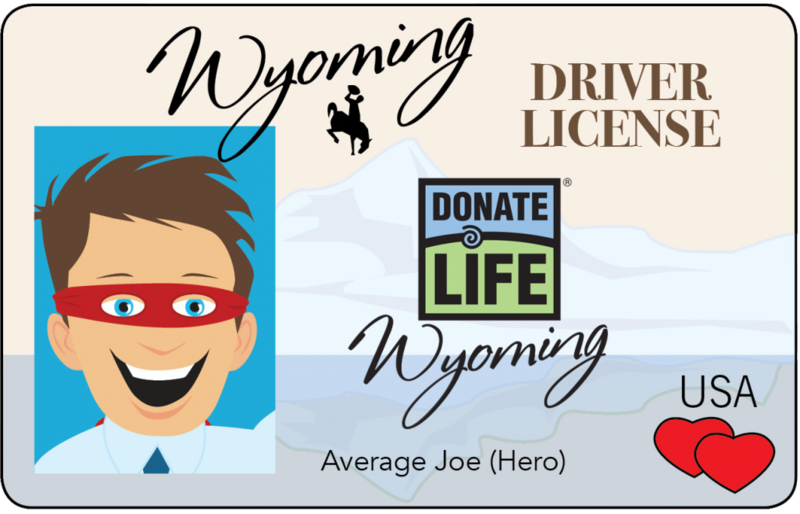 Wyoming residents must reaffirm their desire to be a donor every time they renew their driver’s license or state ID.